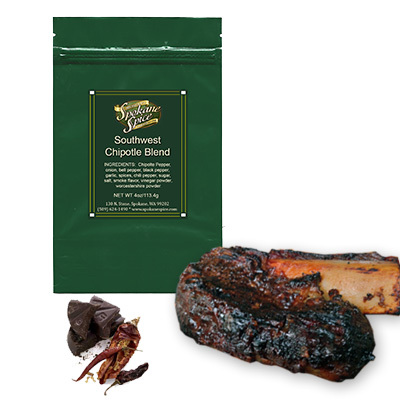 This is a hot and spicy blend of dried chipotle peppers, onion, garlic, pepper, bell pepper and spices that adds a complex Southwestern flavor. Chipotle peppers are dried, smoked jalapenos, and will add a kick of heat! Fabulous in corn bread, chili's, soup and stews. Rub it on ribs or anything that needs a little fire. Try it in sour cream or cream cheese for a wonderful fiery dip.